Maria Kendall, MD, PA (Coral Gables) - Book Appointment Online! 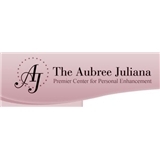 The Aubree Juliana is a full service dematology practice located in Coral Gables, FL. The Aubree Juliana strives to stay at the peak of all technological advances for personal care. Our treatments include the latest laser techniques such as Eribum, Fraxel, and IPL. At our dematology center in the heart of Coral Gables, we treat conditions such as acne scarring, melasma/brown spots, and wrinkles, with techniques such as photo rejuvenation and laser resurfacing. We also offer skincare products from the worlds top laboratories. Please click to make an appointment with us today. They had way to many people all set for the same time. I watched two walk out because the wait was so long. They should treat their patients time with more respect than this. Also I filled out the forms on line but still had to fill them out there as well. ZocDoc should remove this feature form this provider if they are not going to care that a patient filled it out on line.